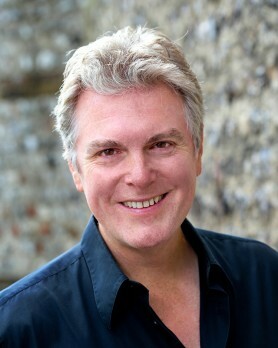 On the concert stage, Paul has sung repertoire including the Rossini Stabat Mater with conductor Riccardo Muti at the Théatre des Champs-Elysées in Paris, Haydn’s The Seasons and Creation, Bach’s B Minor Mass at Notre Dame in Paris, St Matthew Passion and Christmas Oratorio, Mozart’s Requiem, Britten’s Les Illuminations, Handel’s Messiah and Samson, Beethoven’s Ninth Symphony in Malaysia and Singapore, and Verdi’s Gerusalemme at the Amsterdam Concertgebouw, among numerous other concert appearances. He has recently given a Schumann recital in Dublin, and has appeared on the BBC’s Friday Night is Music Night as well as many other broadcasts on BBC Radio 3. Counting in his operatic repertoire such Rossini tenors such as Almaviva, Lindoro (Italiana in Algeri), Ramiro (La Cenerentola), Ilo (Zelmira), Oreste (Ermione) and the Pescatore (Guglielmo Tell), Paul has also excelled in Mozart roles such as Don Ottavio, Belmonte, Tamino, and Tito, and has frequently sung Donizetti’s Tonio (La Fille du Régiment) and Ernesto (Don Pasquale), Verdi’s Alfredo (La Traviata), Bellini’s Elvino (La Sonnambula), as well as repertoire by Haydn, Berg, Puccini, and many other composers. As further proof of his musical versatility, Paul is founder and co-director of Walking Oliver Productions Ltd, a music company and CD label devoted to the creation and preservation of quality music for children. An arm of this company is devoted to promoting the recordings of independent family music artists for distribution in the UK. For the past twelve years, Paul and his family have lived in Lewes, East Sussex, where they enjoy the proximity to Glyndebourne, to the South Coast, and to the Downs for walking the dogs.